Travelling across the Atlantic on board the QE2, Alice – a bright, young physicist – meets Jove, short for Giovanni, one of the world’s most respected experts on time travel and a confirmed lothario. By the time the pair land in New York, Alice has become Jove’s mistress, an affair of the heart which is only complicated further when Alice meets Jove’s wife, Stella; a tempestuous beauty born with a diamond at the base of her spine. As this love triangle turns into a menage-a-trois, Alice, Stella and Jove struggle against the currents immersing them, while their romance pulls into its wake the stories of other generations, philosophies, quantum physics and time travel. 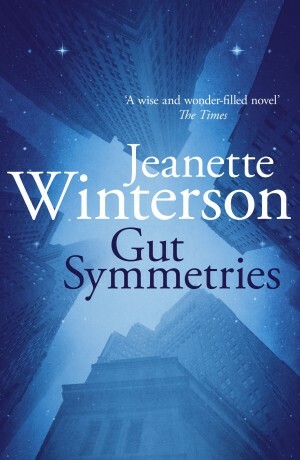 A celebration of the human heart in all its frailty, confusion and excess, Gut Symmetries is a lyrical evocation of parallel lives, loves and universes, from one of Britain’s best loved authors.